Conference preparations are in full swing! We are so excited to bring to you this Level I GIM training Institute. 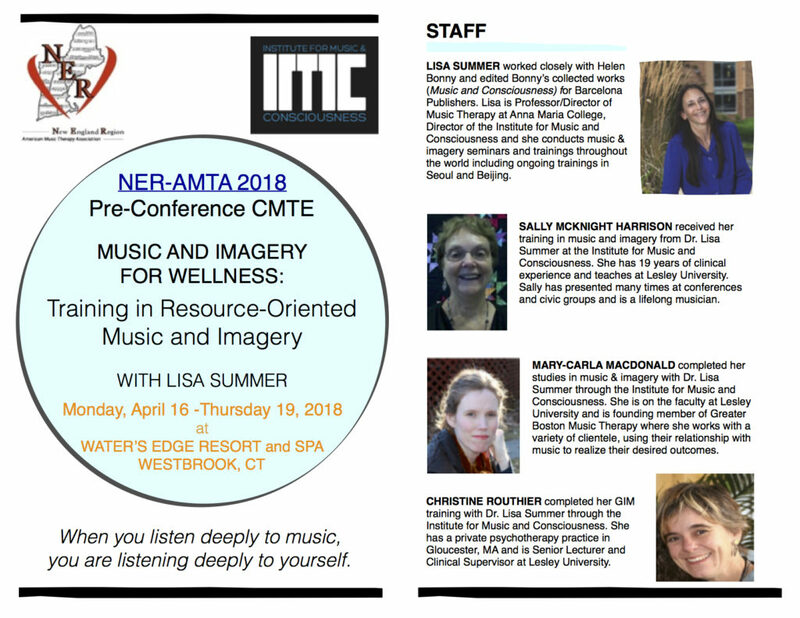 This 25 CMTE institute, which will take place April 16-19 2018, is sure to fill up quickly, so reserve your space today! 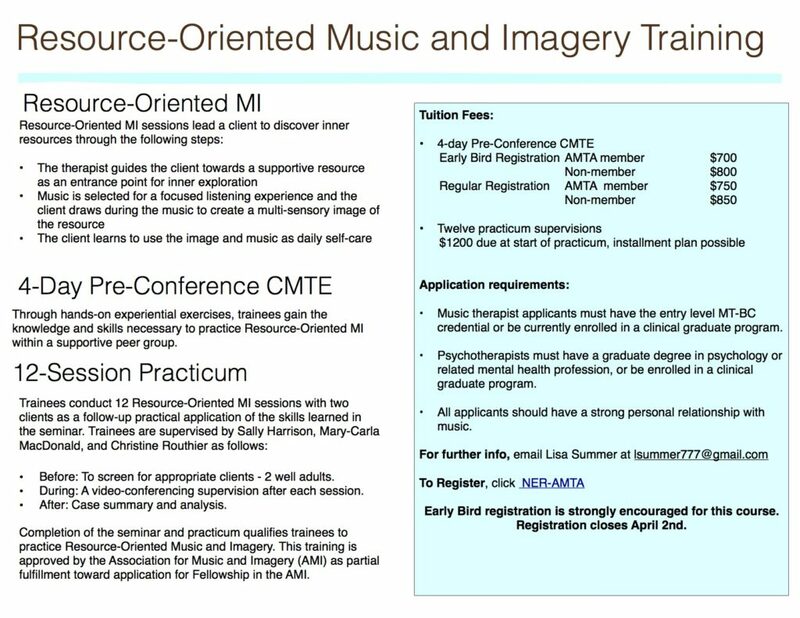 If you are interested in registering early, please email vicepresident@musictherapynewengland.org.